Are you looking for safe and comfortable transportation at an affordable rate? If so, look no further. At Express Executive cars our top priority is your safety and being on time. Our vehicles are well kept and maintained. Our drivers are experienced and VERY professional. So whether you need to go around town, or perhaps out of town, we've got you covered. Call text or email V for fast replies. Express Executive Cars, LLC offers first-class towncars and SUV services as well as chauffeur services. Make us your choice for an airport shuttle whether you're arriving or departing from the area. We also offer executive car services for business professionals who need to get from their hotels to meetings and back again. 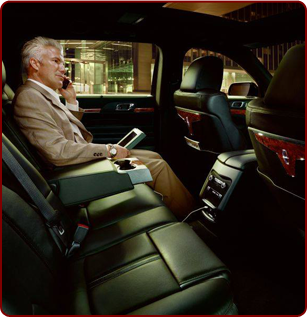 Chauffeur services are provided for appointments, errands or a host of other reasons. Call us for airport shuttle services. The local transportation you want is available from our car service. Express Executive Cars, LLC of Grand Rapids, Michigan, provides airport shuttles, personal, executive, and chauffeur transportation services. Although we're a new service, our industry experience includes working for another company. We started Express Executive Cars to provide clients like you with reliable car services at excellent rates. With the aid of high-end luxury vehicles, we make you comfortable for your ride to the doctor's office, the airport, or wherever you need to go. Our mission is to provide car service to those who need a ride to doctors' appointments, transportation to the airport, or even a chauffeur. Grand Rapids, Kalamazoo & Detroit Michigan areas.